Tap the first item, move it, and keep your finger on the screen. You can now use your other fingers/hand to enter other apps and select other items. All these items will be gathered in a pile under your first finger, with a number to let you know how many items you hold. Navigate to the place you want to pop all these items in, and release your finger. All these items will be dropped into the app, if supported. Long press the tab icon in Safari to find a range of useful commands. Long press a link on a page and gently swipe up to access a whole bunch of options, including the ability to Add to Reading List. Reading a web page in Safari and searching for a reference to a specific word? The fastest (and least-used) way to do this is to tap the Share menu then scroll through the bottom row of options to find the magnifying glass icon to Find on Page. Write the word to find all references to it on that page. Apple continues to make it easier to get work done on an iPad. Slide Over lets you open a second app while working in the first. While in one app, swipe up slightly from the bottom of the screen to invoke the Dock. Once you see the Dock, tap and hold the icon of the additional app you want to open and swipe up – the app will be made available to you in a long narrow window that you can move around the display using the grey toggle line at the top of its window. You can close the app by swiping it right off the display – or tap and hold the toggle line and move it to the top of the screen to open both apps side by side in Split View. Recent iPad Pros also let you open a third app instance while in Split View using Slide Over. Put four fingers on your iPad’s display and swipe left or right to explore all your active apps, or pinch those four fingers together to close the current app and return to the Home screen. Of course, if you are already in the Home screen pinching four fingers together lets you see App Switcher view. You can swiftly move between all your active apps by swiping the Home bar at the bottom of your iPad screen. So long as your iPad, Mac and iPhone are all logged into the same Apple ID (and Bluetooth and Wi-Fi are enabled) you can copy and paste between them with ease. Just select what you want to copy across on your iPad, long press it and tap Copy. Now you will be able to paste it on another device. Press and hold the icon for many apps, and a window appears that shows you the most recent documents you opened in that app. 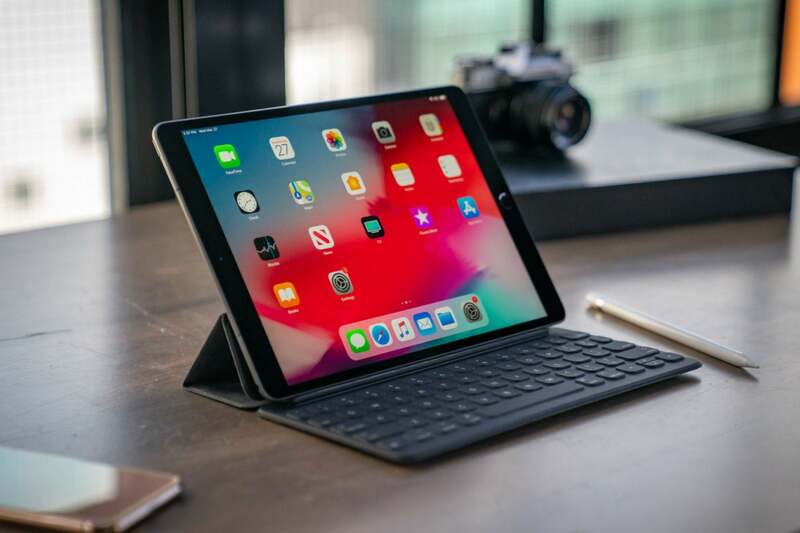 If you use an iPad Pro with a Smart Keyboard, you can use keyboard shortcuts such as Command-N (new document), Command-F (find text), or Command-B, -I, and –U (bold, italic, underline). You also get an Undo and Redo key, which you’ll find in the Predictive Type bar. Command-H will take you back to the Home screen.